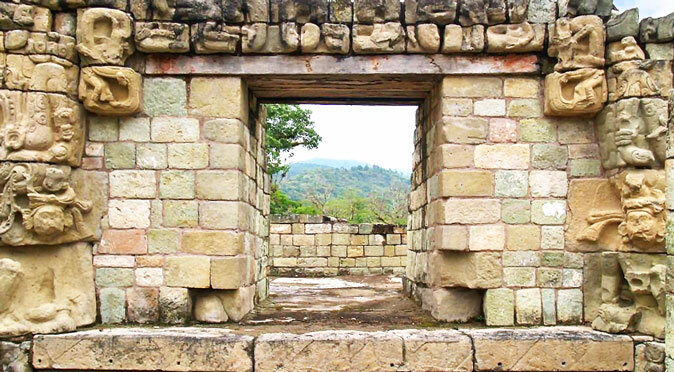 Strategically located halfway between the Atlantic and Pacific coasts, at the narrowest point for hundreds of miles, and sat alongside a river network which leads both far to the west and to the Atlantic in the east, it seems obvious that Copán was built expressly to control trade. 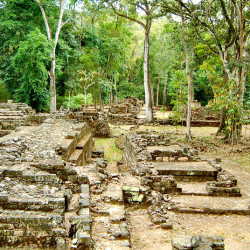 However, as you walk around the ruined city, known as the Athens of the New World, you get the sense that Copan was far too cultured to be merely a frontier town designed to control trade and suppress uprisings. 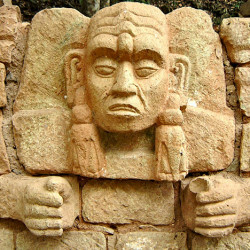 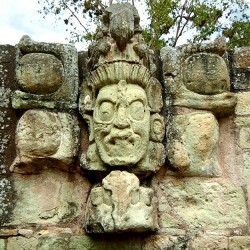 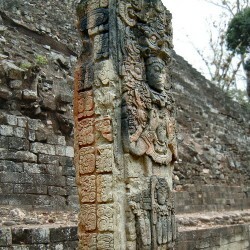 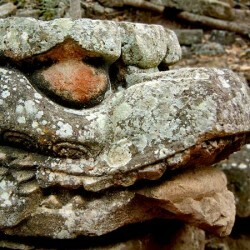 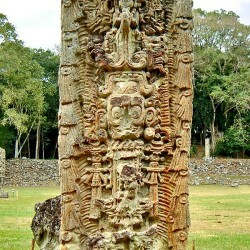 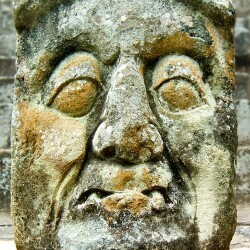 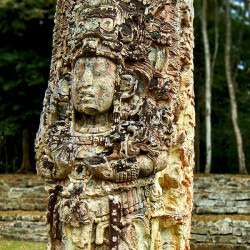 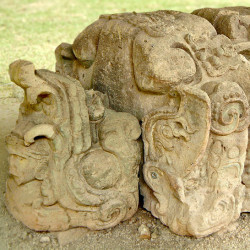 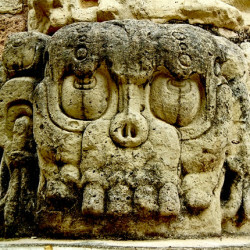 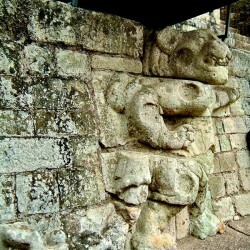 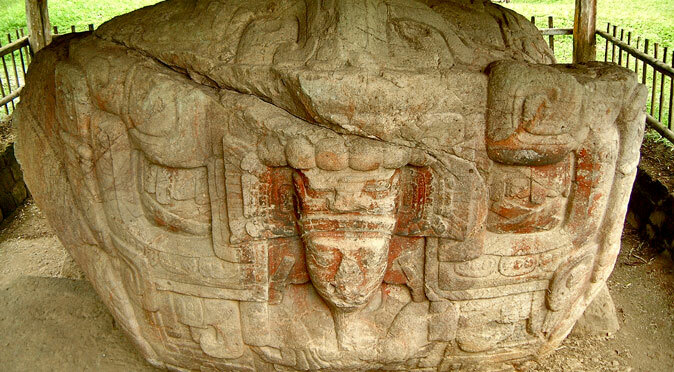 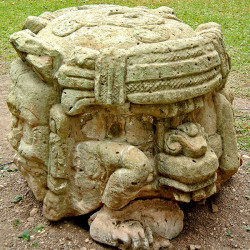 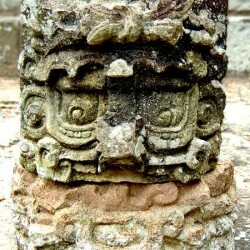 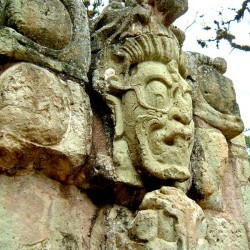 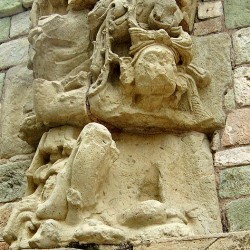 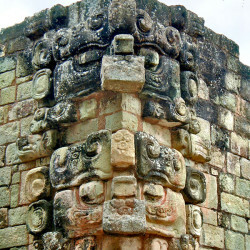 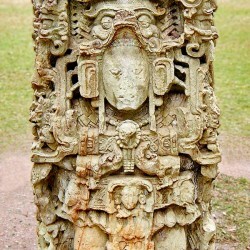 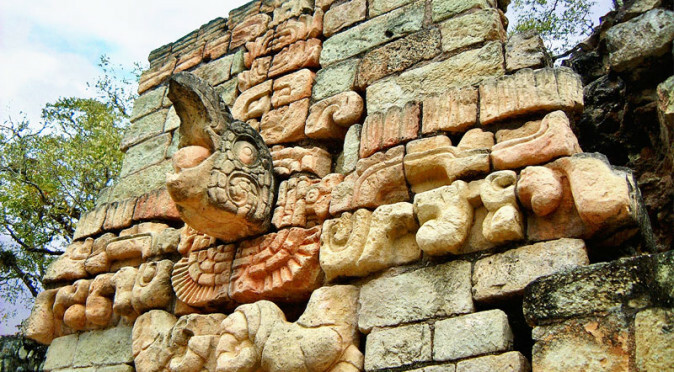 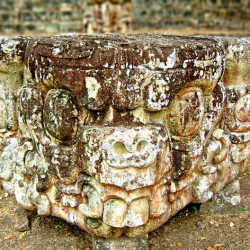 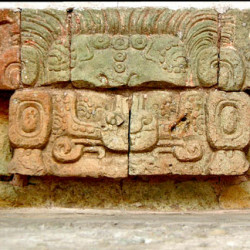 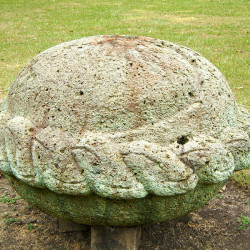 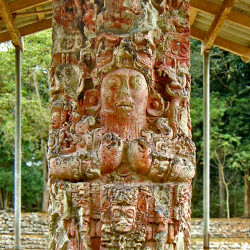 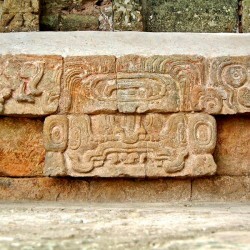 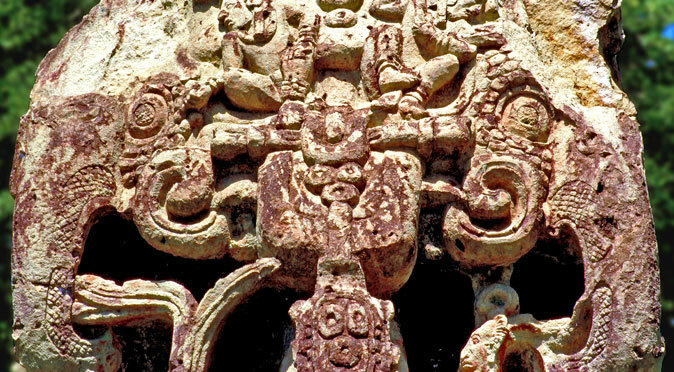 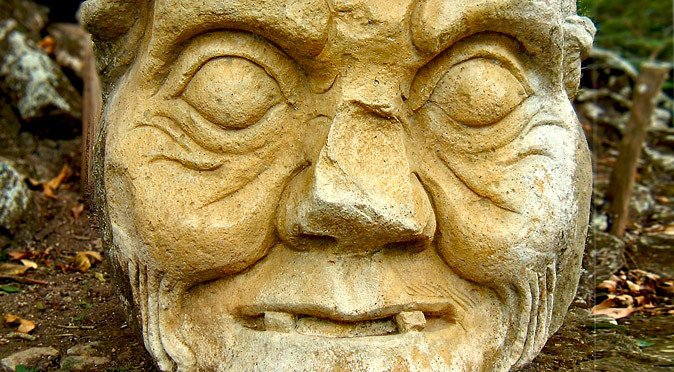 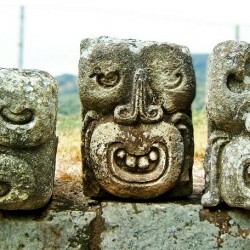 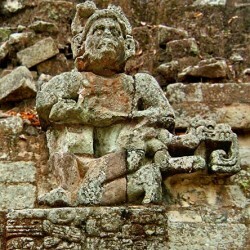 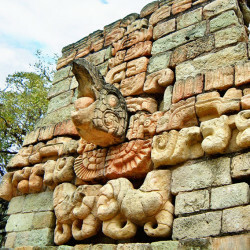 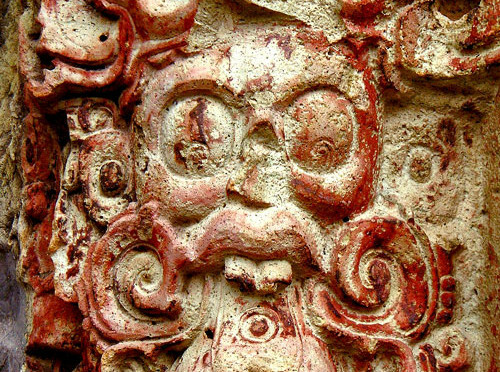 In fact, the artwork and sculpture found at Copán has rightly been described as out of this world. 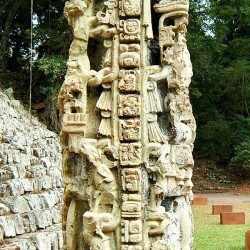 Stela N (Back)Copan was founded by Tikal, possibly under the instruction of Teotihuacan, in 426AD to increase the trade of the jade coming from mines of the Motagua Valley. 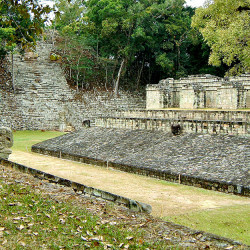 The site was already populated by non-Maya and the trade was already a big industry. 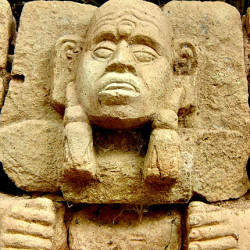 However, there is no evidence of violence surrounding the event, with a Lord named Yax K’uk’ Mo’ arriving from the west to take the throne and start building a new Mayan city on this new southern frontier. 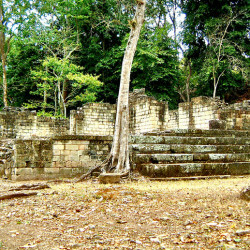 Within just a few days of arriving in the area, he installed his own vassal, Tok Casper, to control the Motagua River from another already settled site 40km away at Quirigua. 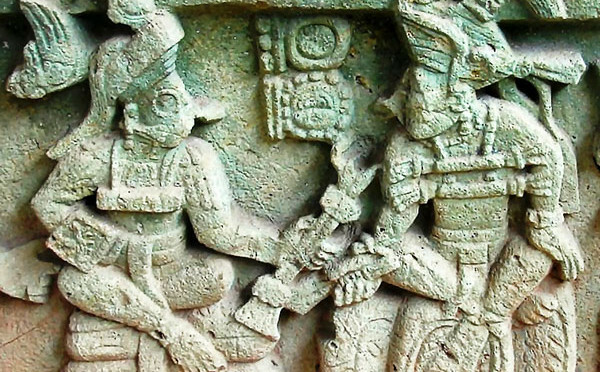 Therefore, it seems that the expansion agreed with the local populace, who perhaps wanted the Maya to come and develop the region and its trade to bring about their own wealth and safety. 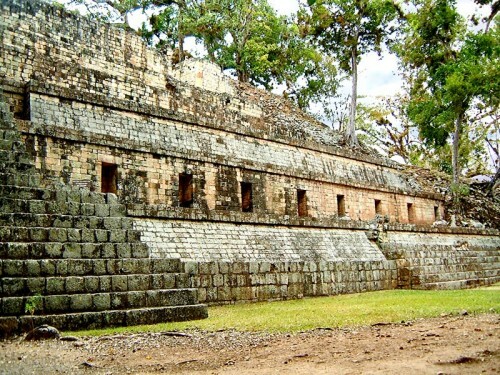 For the next three centuries, Copán and Quiriguá dominated this southern boundary of the Mayan territories with seemingly no external threat of any kind. 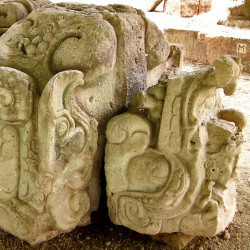 Growing wealthy from trade and without the need to fund wars or build defences, the people of Copán developed a highly advanced society with increasingly abstract religious and political ideas. 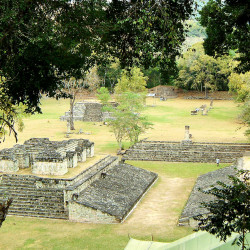 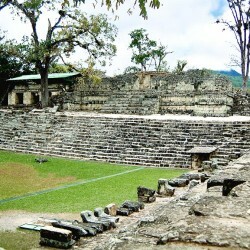 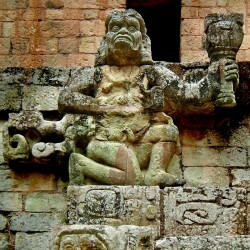 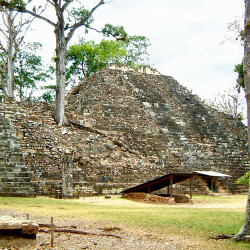 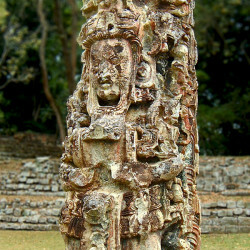 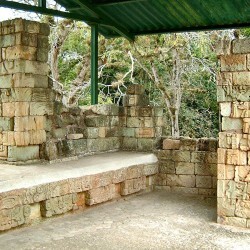 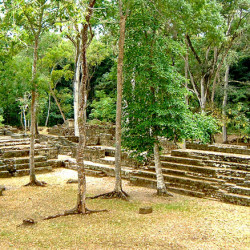 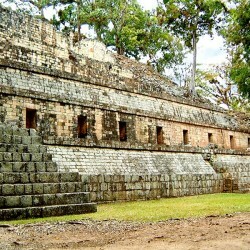 Copan operated an unusual feudal system, which may have been agreed in 426AD before the Maya moved in. 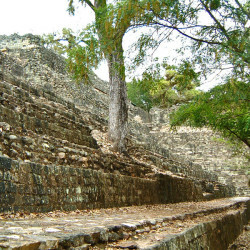 The system included a Council of 9 Lords of nearby towns, such as Las Sepulturas, which is only 4 kilometres away, who would convene at the “Popul Naah” (Council House), that sits in the East Court within the religious centre of the City. 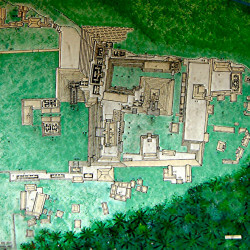 Temple of Inscriptions (South)Copán was a highly developed and cosmopolitan City and its ruined buildings are extremely fine; in particular Temple 22 and its carved entrance, Temple 18 with its reliefs, Temple 11 with its otherworldly symbolism, the Hieroglyphic Stairway and the extremely well preserved ball-court are all magnificent highlights. 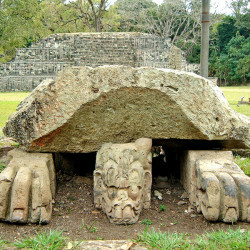 There is also the intriguing Temple 16, which was rebuilt several times with the previous structure being encased and preserved within. 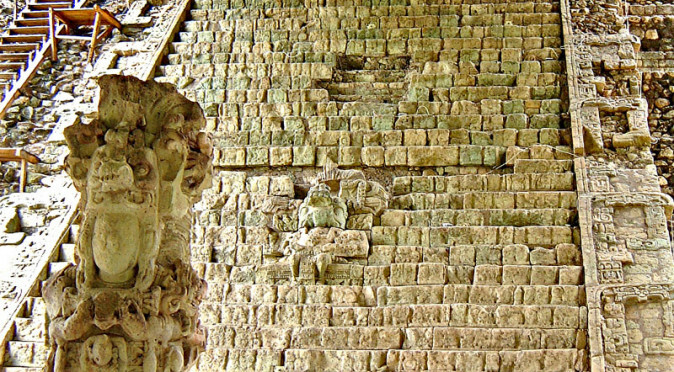 One such incarnation, the Rosalila Temple, has been faithfully recreated in the museum, but the original preserved temple can also be viewed via a tunnel. 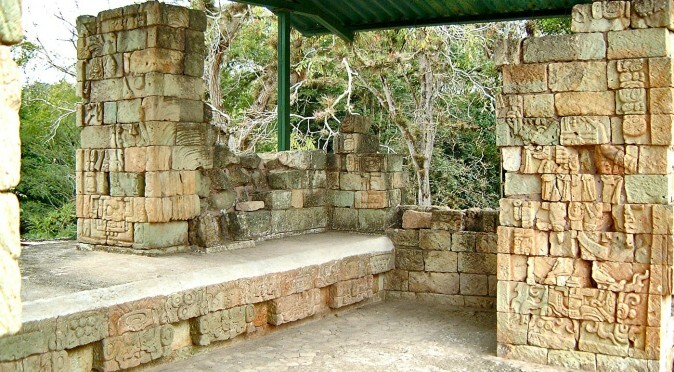 Altar N The Hieroglyphic Staircase contains over 1200 blocks of stones and is by far the longest Mayan text historians have to try and decode this mysterious language – which, thanks to Copán, has been largely deciphered. 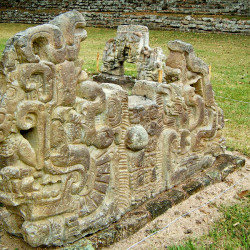 Hieroglyphs are also found on the majority of monuments at Copan, but it isn’t just hieroglyphs that record the history and traditions of the Maya. 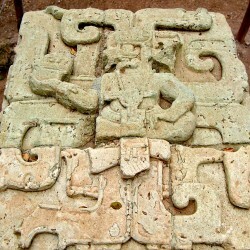 The monuments themselves are also heavily encoded with imagery and iconography which meant they could be read like a books. 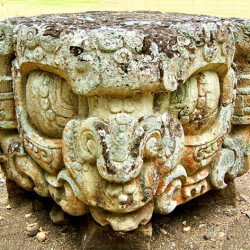 These icons were often animal parts that demonstrated power, such as large claws or curling fangs, or super-natural spiritual powers that were represented by features such as necklaces, feathers, large ear plugs, long noses, and spiralled eyes. 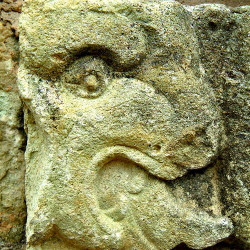 Combining these icons on single pieces of art more-often resulted in a beastly incarnations of alien looking animals and characters. 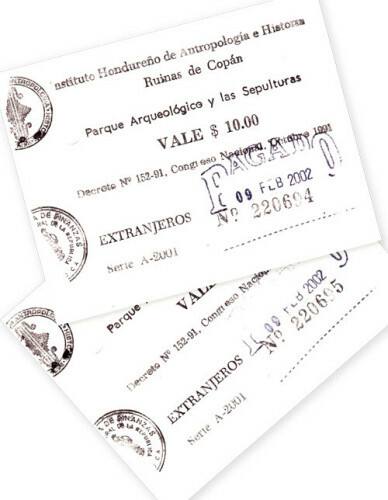 Tickets from 2002The level of artistic detail combined with the abundance of monuments and hieroglyphic texts has made Copan a hot-bed for research and it features regularly in articles and films about the Maya. 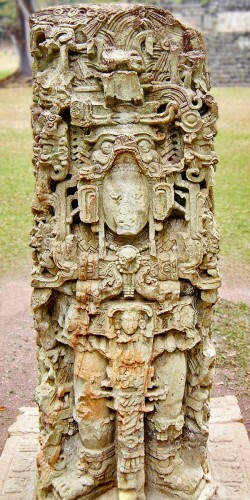 Copán also attracted the attentions of Frederick Catherwood, whose stunning etchings of these other-worldly creations have been in circulation for well over 150 years. 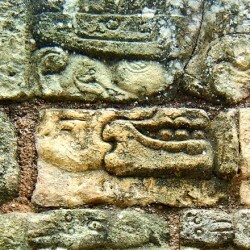 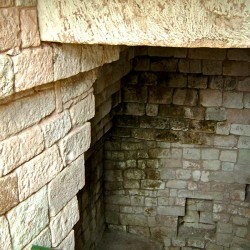 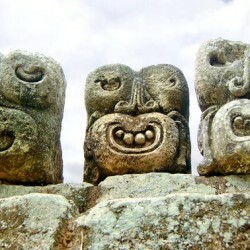 The result is that the artwork of Copan has become globally iconic and world-renowned. 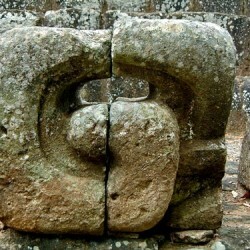 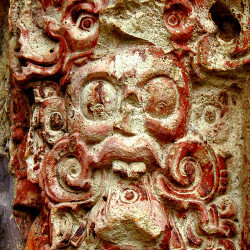 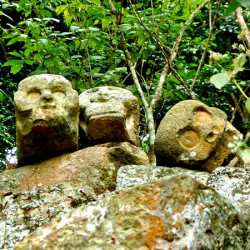 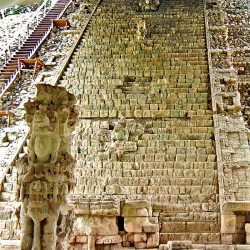 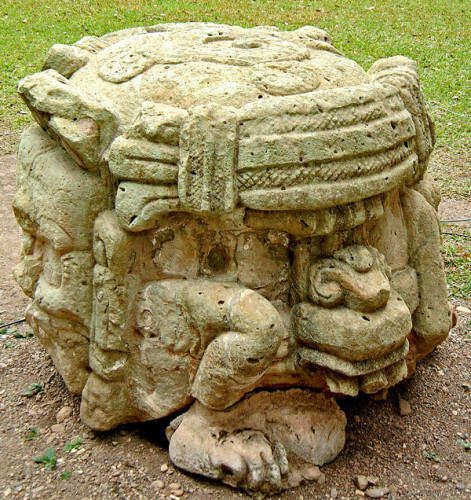 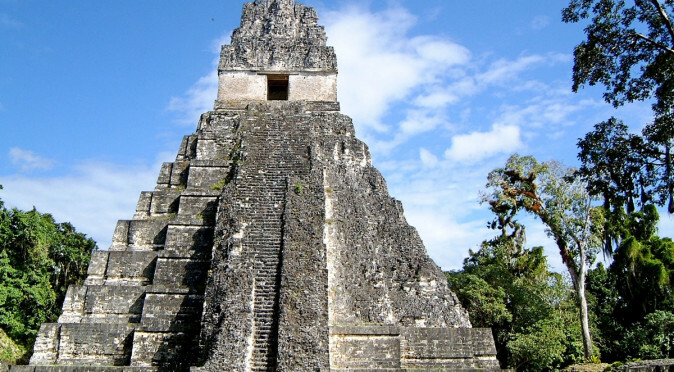 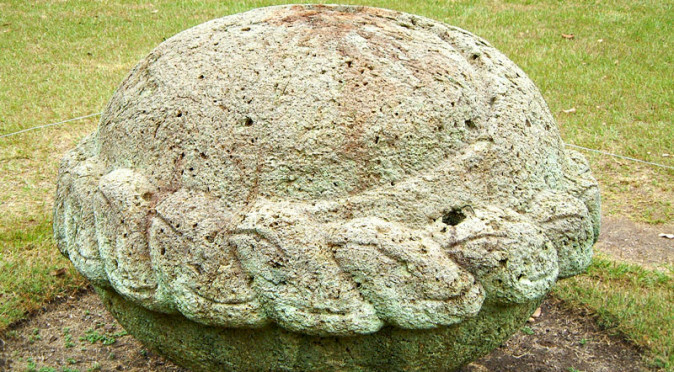 This has often lead people to believe that these are the unique creations of mysterious and mighty city lost deep within the jungle, rather than the apogee of an artistic religious idiom that was found throughout the Mayan lands. 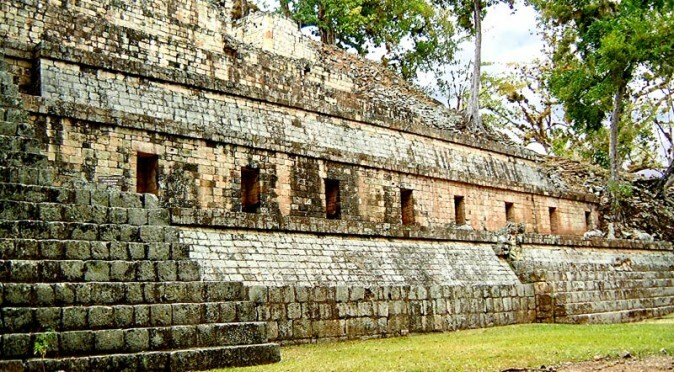 Copán is a truly a site to behold, and with it being far from the tourist trail, it remains a place where you can enjoy quietly contemplating these fine and intriguing monuments, and ponder one of the greatest civilisations ever to grace the earth.